The Scala programming language supports three different approaches to handle errors. The Java and C++ programmers are familiar with the first 2 approaches. Scala introduces the Option type which is defined as a Monad. Let's take a simple example; computation of the function sin(sqrt(x). The client code unwraps the return type, Option[Double] to handle the error. An alternative is to use a default value with getOrElse in case or failure. Caution: You should never insecurely unwrap an option using the method get. sqrt(-3.0).get generates a java.util.NoSuchElementException: None.get exception. The returned value(s) and error handler are encapsulate into the same entity, Option class. However, there is no "free lunch" and I was curious to find out whether the benefits of using Option type comes with a performance cost. Let's compare the relative performance of the Option type, exception handling and basic error code on a very simple example. I selected the division of double precision floating point values as our simple test. The simple test code, below is compiled and run with Scala 2.10.2 and Java JDK 1.7._45 on 64-bit Windows. As expected, the performance of each of those 3 error handling mechanisms degrades linearly according to the number of iterations. 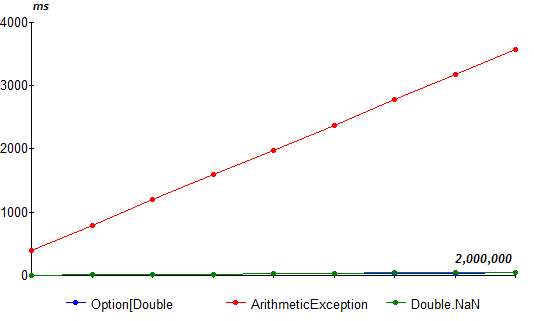 Clearly, the option error handling has the best performance and the exception has the highest overhead. 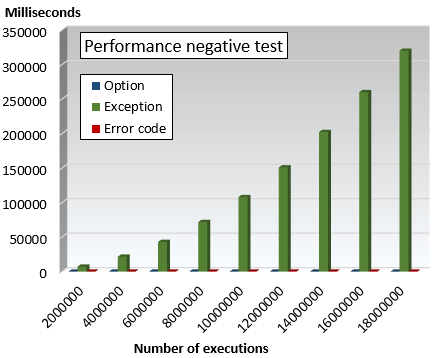 incurs the lowest performance while the exception handler is by far the most efficient. We run the same test with the number of iterations varying from 200,000 to 1,800,000, but with an arithmetic error at each iteration. The exception handling mechanism has by far the highest overhead. 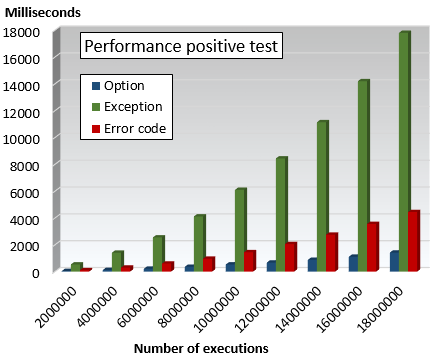 The option monad and the returned error code mechanism have very similar performance. 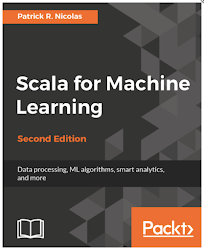 Note: The evaluation of the error handling mechanism has been performed using Scala 2.9. Results may vary in future releases. Although enlightening, this evaluation may and IMHO should not be a key criteria for selecting which handling errors the most appropriate. Scala newbies tend to abuse the Option monad like a new toy. J. Bloch has a couple of very good suggestions about when NOT TO throw exceptions in 'Effective Java'.